Up in the hills of the Alpujarras, with “stunning views”, the hotel comprises three different blocks, with 10 rooms and a total capacity of just 20 guests at any one time. Each suite will come with it’s own spa and gym, explained the owner Antonio Adolfo Fornieles, who also plans to open a luxury restaurant or mesón in the complex, which will serve only the best in local produce. The hotel will be built on state owned land (not natural park) which required special permits from the Junta. They have given Antonio a 50 year lease on the land, and construction is expected to start soon, with the hotel to open within the next 15 months. 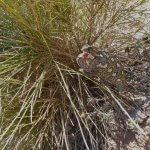 This entry was posted in Blog and tagged alpujarras, canyajar, five star, gay, hotel, resort by David. Bookmark the permalink.